Our range of products include hdpe mono rope and hdpe mono ropes. With the support of our modern manufacturing unit, we are capable of providing high quality HDPE Mono Rope. Offered ropes are used for various applications like binding, packaging, making fishing net and domestic purposes. 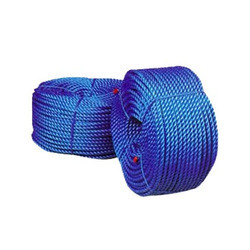 Manufactured by making use of superior grade high density polyethylene and latest machinery under the strict supervision of our skilled professionals, these ropes are highly cherished in market due to their fine finish and high strength. Supported by a dedicated and efficient team of professionals, we are offering supreme quality assortment of HDPE Mono Ropes. The offered ropes are made using optimum quality HDPE materials under the stern guidance of dexterous experts as per the set industry standards. 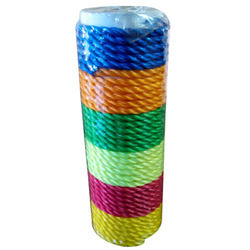 These mono ropes are used in industrial sectors like marine, construction and fishing sectors. Stringently examined on varied quality parameters, these ropes are available with us in different specifications at reasonable price.